Why The Place is special ? The Place is one of the modernist places in Beijing, located in Beijing’s CBD. 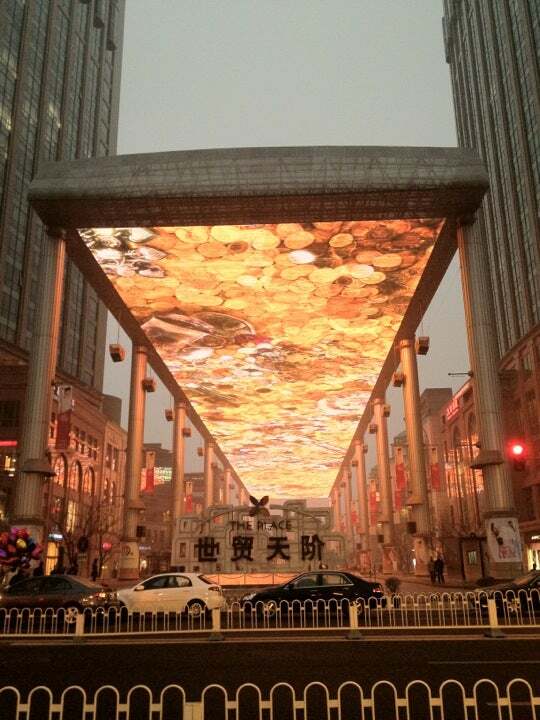 Beijing’s funkiest new mall is easy to spot thanks to the digital canopy that sweeps over its central outdoor plaza - the biggest LED screen in Asia would you believe. 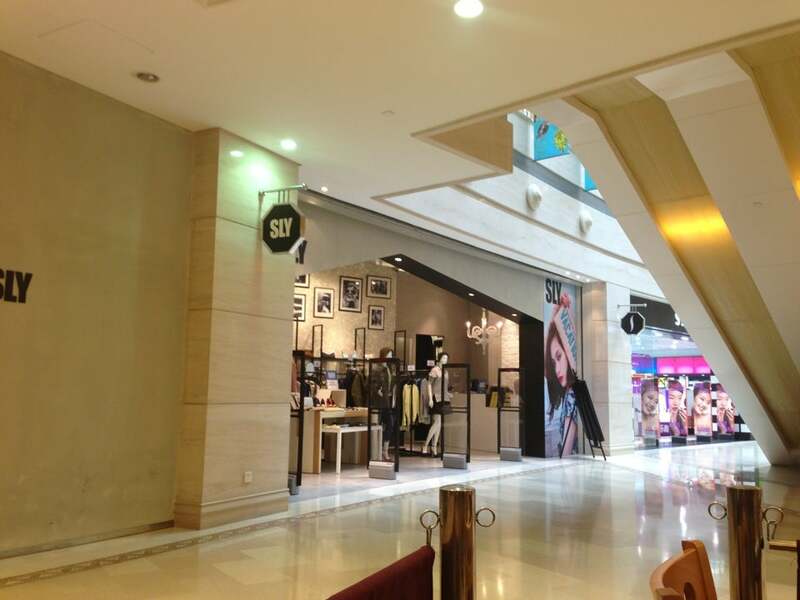 The Place is a mixture of shopping mall, office building, Space Art and Fashion. 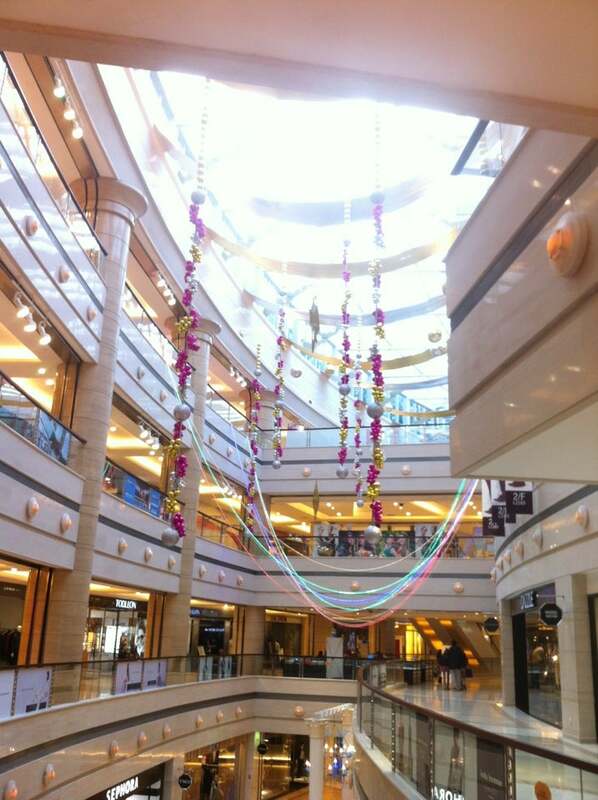 Despite of the fabulous looking, The Place offers a place for luxury shopping and dining experience. There are stores like Zara, Aldo, MAC, Adidas, D&G, Ferrari and English-language bookstore Chaterhouse. Restaurants serving Chinese and Western buffets, book stores, and clothes shops are luxurious and elegant. What to explore at The Place? The Place is mainly composed of the huge screen in the middle and two luxury buildings on its both sides. People walk around under the screen enjoying the space art, high technique, lighting. The Place is alao a place for luxury shopping and gourmet experience. There are several open-air bars for you to relax. 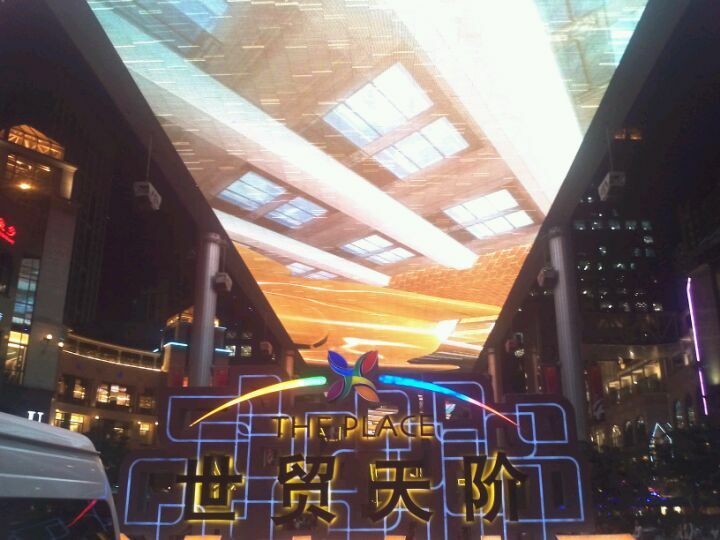 The Place is a blend of shopping mall, office building, Space Art and Fashion. The Place is designed by Jeremy Railton. He is also the designer for the world largest electric screen in Las Vegas. 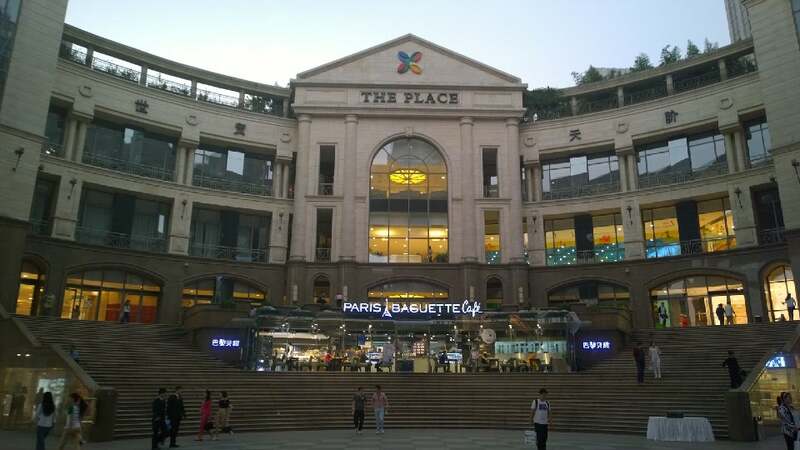 Two four-story malls house Tourneau, China’s largest watch boutique, D&G, Ferrari and English-language bookstore Chaterhouse. Subway: Take subway line 1 and get off at the station of Yonganli (永安里), exit from the exit B, then walk to the north along Dongdaqiao Road (东大桥路). After the first crossroad, you will see the Place on your right hand. Buses: 28, 43, 120, or 126 to Fangcaodi (芳草地). You should take a trip there at night, when the buildings looks more fabulous. 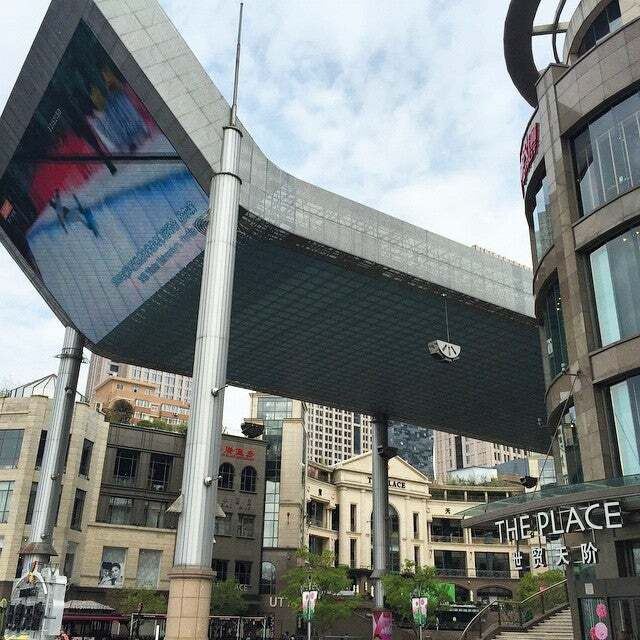 This place is known for 1 thing - it's overhead huge screen that stretches for roughly 100 metres!. Different themes are played & makes for a nice picture wz it's many kinds of lightings!. It's also surrounded by lots of eateries & cafes - Paris Baguette being my favourite among the lot. Shopping centres lined on both sides wz many established brands like H&M & Uniglo among others. This is definitely a good place for that memorable family or group photo!. Behind this part - behind the bldg. that house Paris Baguette is World City where more restaurants await. One of the better restaurant(my opinion) where you can have good hotpot is Douxi located on the 2nd floor(above Take 5 restaurant & bar). Getting to this place via subway :- 1. Stop at station Yong Anli(Line 1). Exit & walk towards Xiushui Mkt Mall. ***There is an underpass from station to Xiushui Mkt mall directly. It will lead to the ground level of Xiushui Mkt Mall near to the front entrance where KFC & CasaGusto Pizzaria is located. 2. Once at front(outside) of Xiushui Mkt Mall - take the road to the left of Xiushui Mkt Mall(it will be your right if you're facing Xiushui Mkt Mall at the front). Fyi, the front(outside) of Xiushui Mkt is where most tour coaches are parked(big parking lot while the back of Xiushui is small area). Also, another location point to where the front of Xiushui Mkt Mall is - CasaGusto Pizzaria & KFC are located on the leftside near the front of Xiushui Mkt Mall. Take the road that is next to it heading towards the back of bldg direction. 3. Walk all the way to 2nd traffic light(abt a good 12-15mins walk). Once you reach junction of 2nd traffic light, make a right turn & walk for abt 5 mins & you will arrive at this place. Going back is just the reverse.